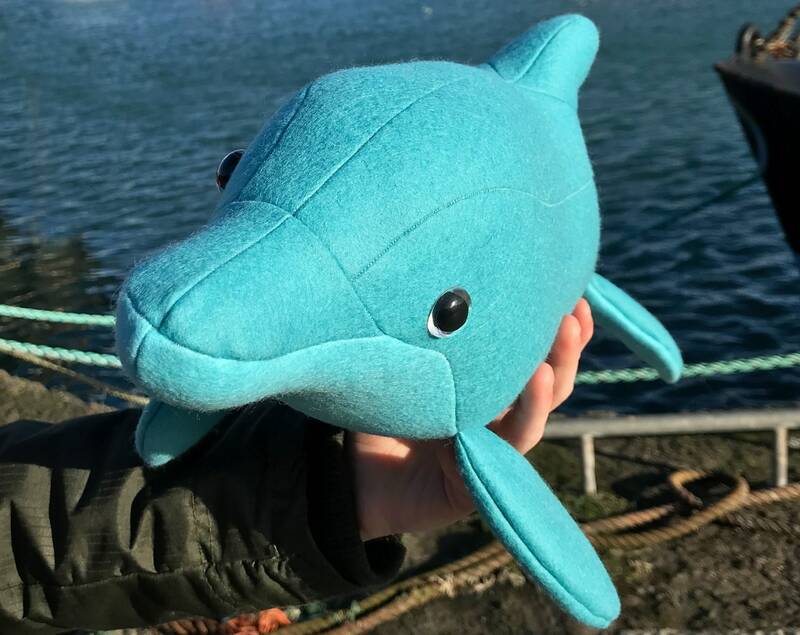 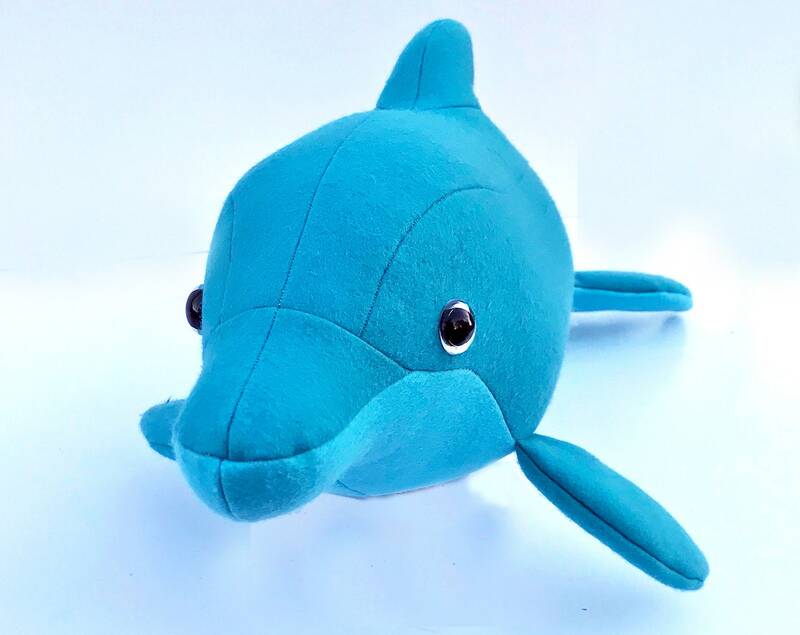 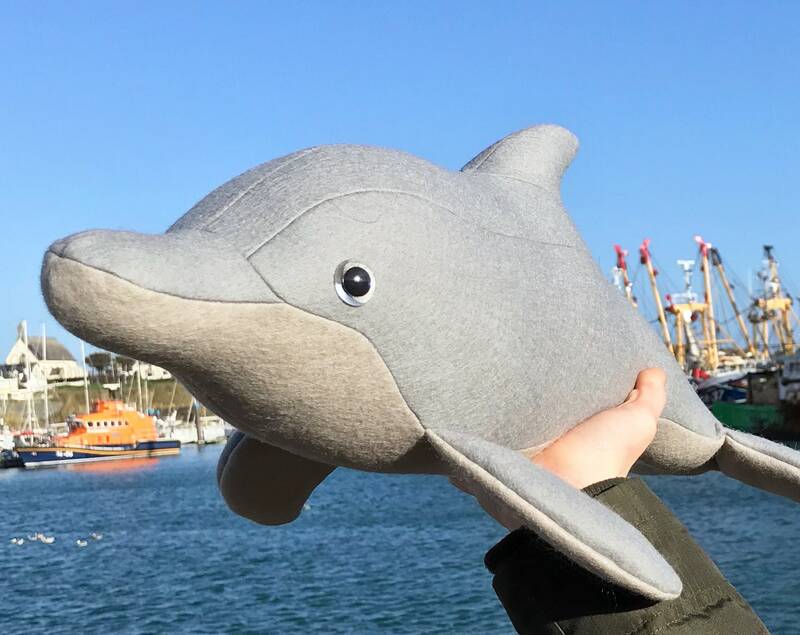 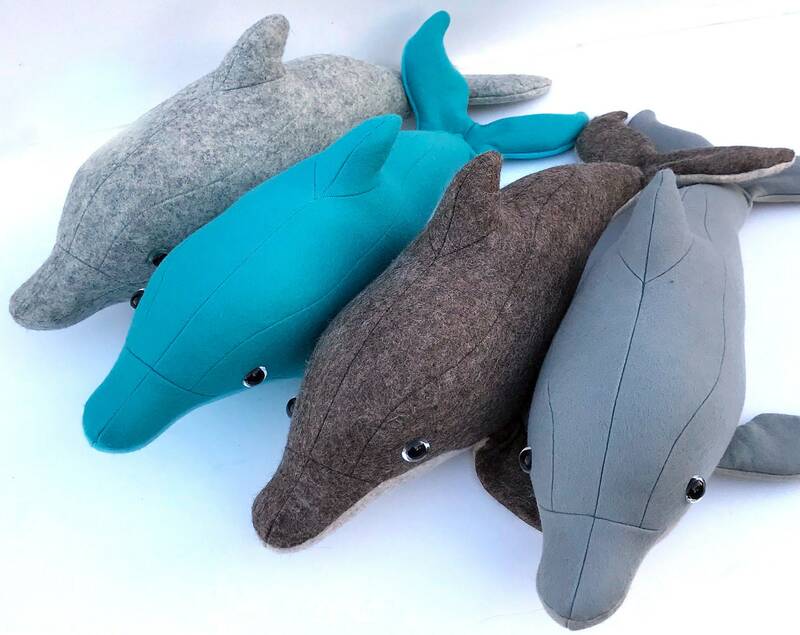 Everything on the this Dolphin is sewn in by machine, the mouth is a seam, so No embroidery which makes this soft toy easier to make and safe for children - no worrying anything will unravel. 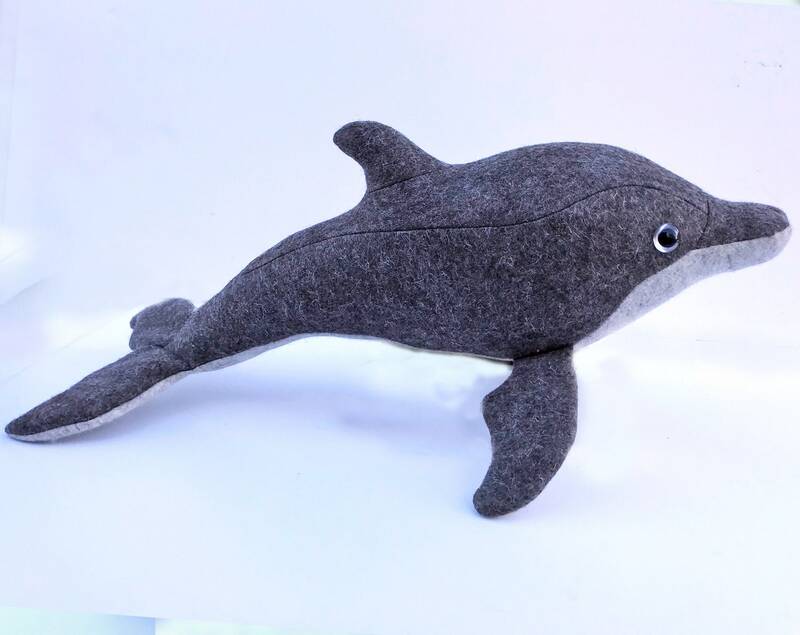 Pods of Dolphins can be seen all year off the Irish coast. 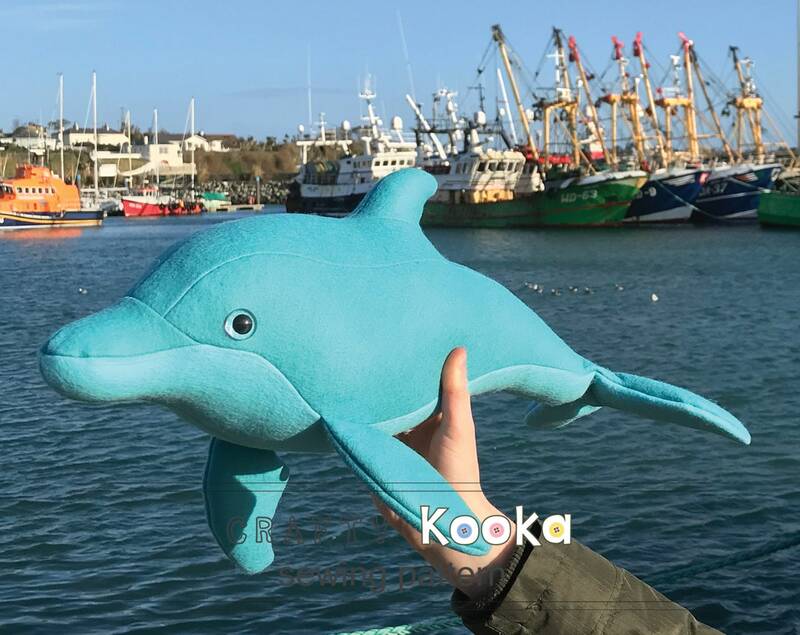 In County Kerry, a wild Bottlenose know locally as "Fungi " has lived and entertained locals for over 35 years. 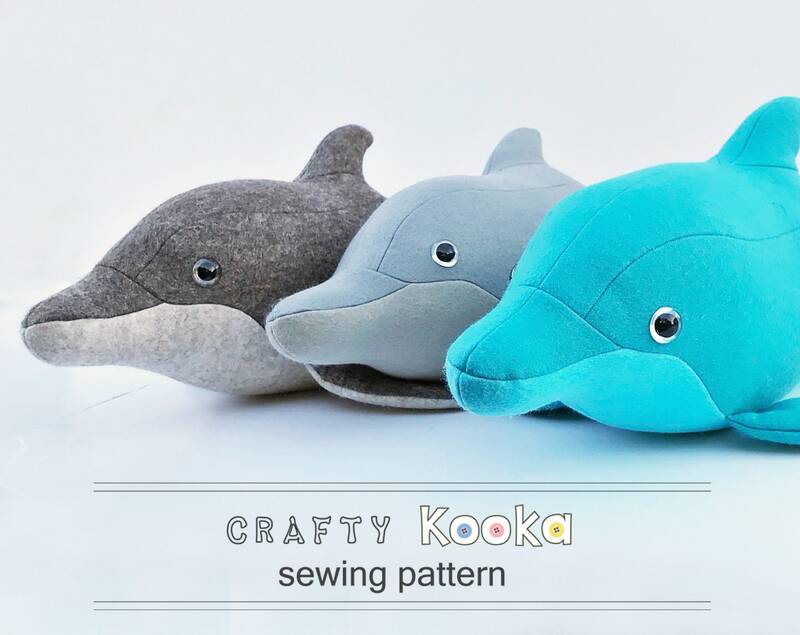 (a half yard is typically 46 cm x 112cm (18“x44” ). 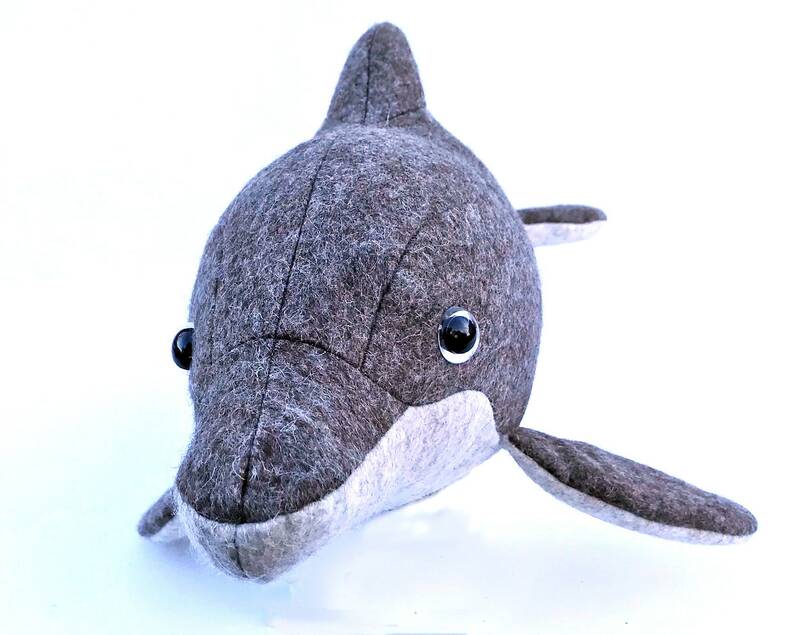 For the underbelly: 1/4 yard. 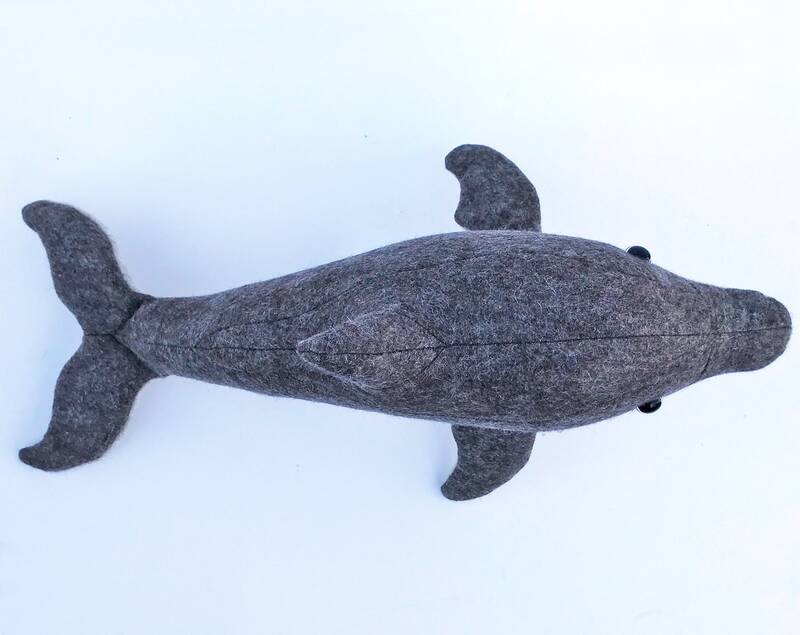 (a quater yard is typically 23 cm x 112cm (9“x44” ). 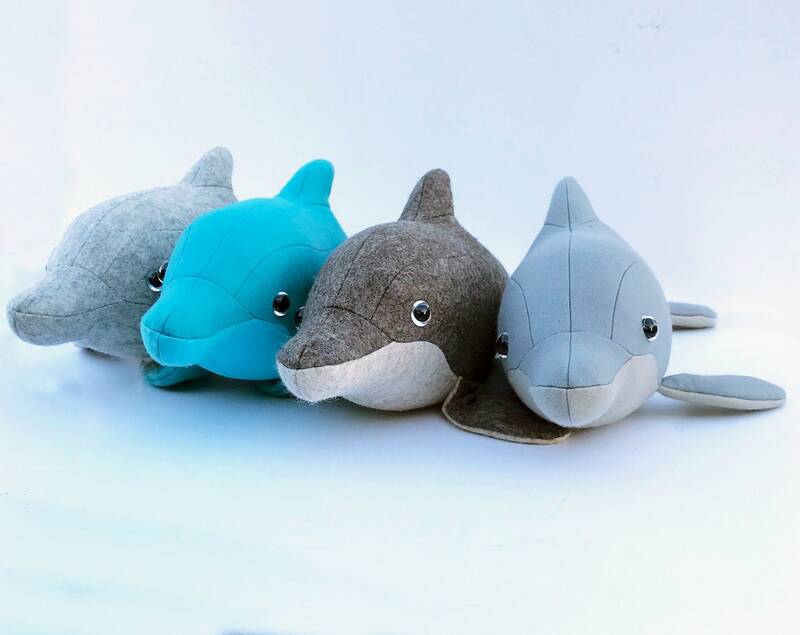 Skill level: confident beginner / Intermediate.